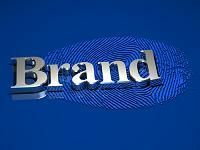 A brand message can be effectively represented in your business’ unique selling proposition (USP). A USP is the one unique attribute of your business’ products or service that consumers can use to identify how you compare to competitors. Once you have a USP, all of your branded marketing programs should effectively promote that message. If you think about it, USPs have long driven successful branding of big business, such as Volvo and safety or Energizer batteries and longevity. This USP is easily identifiable by consumers, and it comprehensively defines a company’s position in the market. Define the benefits – Outline how your service or product helps consumers. Get to know the competition – What is the USP of your direct competitors? Where are they failing? That’s where you can find your niche. Solve the problem – Consumers will have objections to buying, so know what they will object to during the decision-making process. Back it up – During this step, develop marketing tools, such as mailings, videos, blog posts, emails and more to prove your USP. Write it down – Now, it’s time to develop a simple, succinct, one-line tagline that showcases your USP by putting it all together: the benefits, what makes your business unique, how you address problems and the proof. With your USP in hand, you can now spread the good word about your business through branded marketing programs. To put your USP to work for your business, get in touch with Continuity Programs today. Our company branded marketing programs are customizable and personalized to support a business’ USP, boost brand equity, and increase customer loyalty.